From the moment they’re born, children learn at a rapid pace. From learning to walk and talk to making their own bed and developing good manners, they are forever picking up new skills. But when it comes to being financially aware, children are often left in the dark by their parents. Well we think it’s never too early to start teaching your child the budgeting basics, and with these helpful tips, you’re half way there. Money talks: Being open about money teaches children that while finances are important, they’re also accessible and not too scary. Bring it up casually in conversations. Get involved: Use the household shopping trip as an opportunity to talk about planning, saving and finding the best value. Let your kids hold the list and tick off each item or if they’re older, give them a few items from the list to find on their own at the best price. Don’t shop till you drop: Children tend to copy what we do rather than what we say, so limit the amount of shopping trips you do as a leisure activity, as they might start to think that money is an unlimited resource. Breaking the bank: What better way to teach your children about money than to actually take them into your local branch to show them how banks work and encourage questions. Bad credit: Money is very visual and straight forward. Using a credit card might confuse children and send mixed messages so try to use cash to make purchases in front of them. Pound to pocket: Allowing your child to have pocket money teaches them to handle money on their own. Use it as a way to teach short and long-term saving and good spending habits. You can find some handy tips on deciding to give your child pocket money on my previous blog. 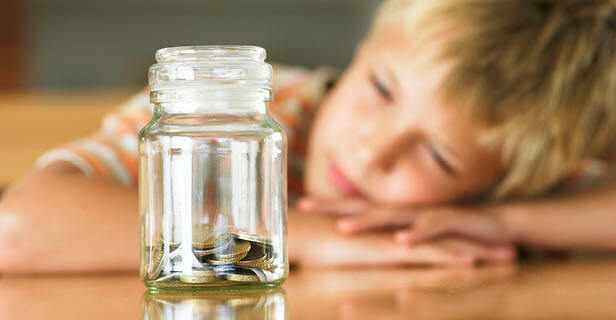 Do you have any top tips that you’ve used to help your children become money savvy? We’d love to hear them.